Curious to hear more about his work and the way he thinks up – and thinks about – the nature of his events with the Art Museum, I asked him a few questions. What have been the highlights and challenges of the events you have done so far? One of the key challenges I faced is how best to discuss histories that are not located in the distant past. Whether I was discussing London in the 1940s or the interwar period, I never wished to seem as if I was there to ‘tell’ people about history or present an objective account. This was particularly the case when discussing events in the postwar period, where many people have their own personal experiences of these decades. 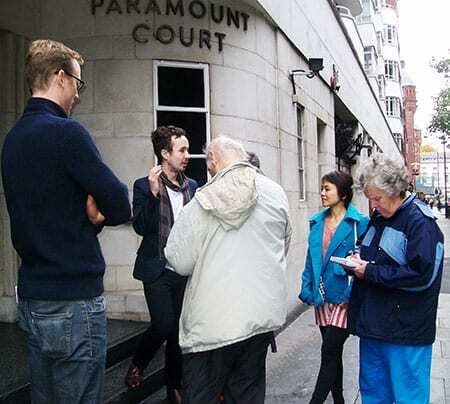 The former Paramount Dance Hall on Tottenham Court Road was a particular highlight on the walking tour. This venue holds such a rich social history for relations between races, cultures and nationalities and was located on UCL’s doorstep (across from Warren Street tube station). 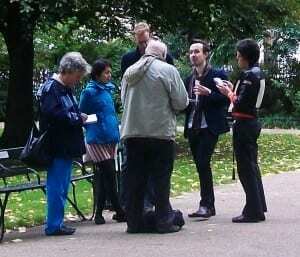 What particularly stood out for you during the walking tour around Bloomsbury? 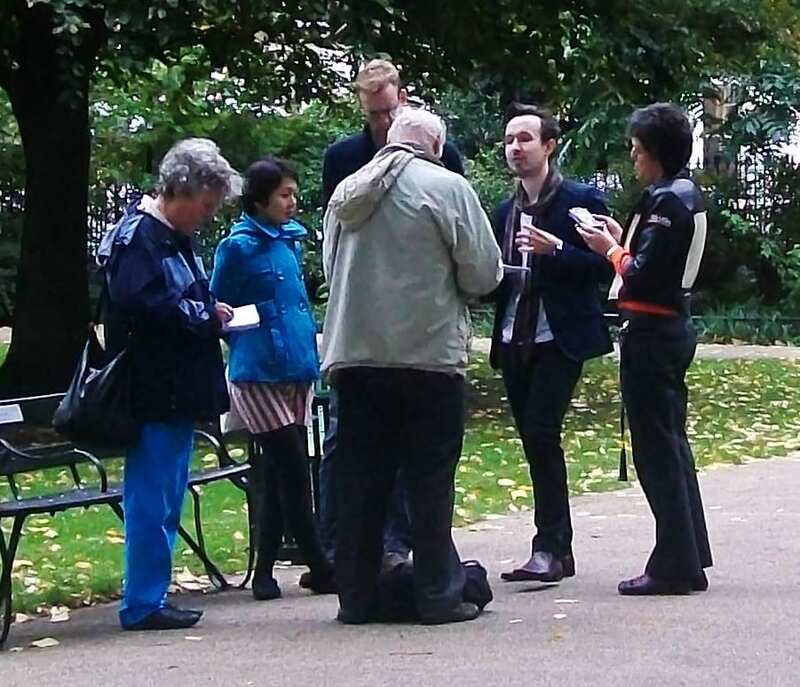 What stood out for me about the Black Bloomsbury walking tour was the presentation of a new or alternative history of the area. Many of the people attending the events or visiting the exhibition commonly associated the area with Virginia Woolf and the Bloomsbury Set, it was great to be able to offer an additional story of the area. Have these events led you down unexpected paths in your own research? What have you learnt from them? These events have reminded me of the value of escaping the library and archive and speaking with people about my research. People’s memories are a rich source of historical information and events of this kind have presented me with new leads to explore, allowed me to meet people involved in similar research and invitations to speak at other events. Do you have plans for another event soon, and if so, what are your ideas so far? I do not currently have any plans for any similar events in 2014.